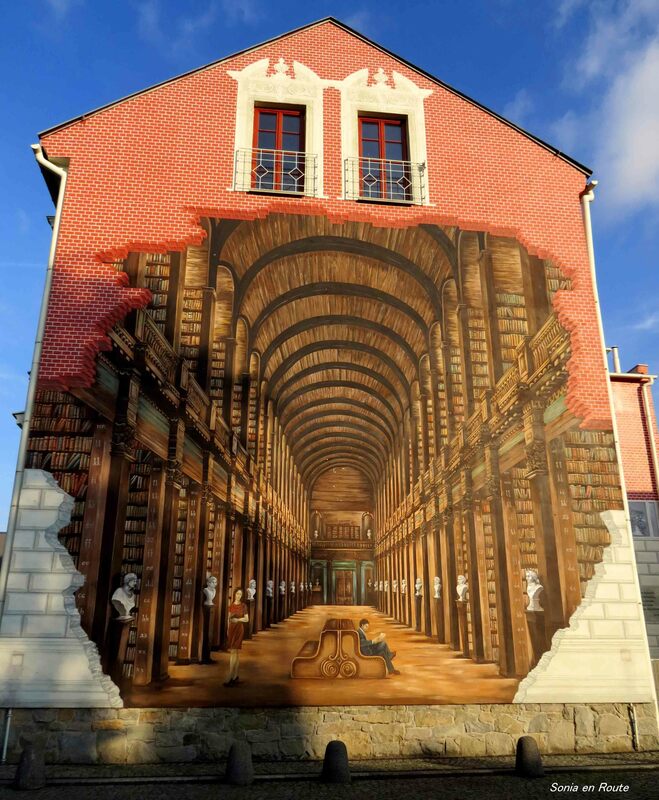 In all my travels around the world I have never yet seen a more interesting and beautiful mural that the one which portrays old and secret and elaborate insides of a library. 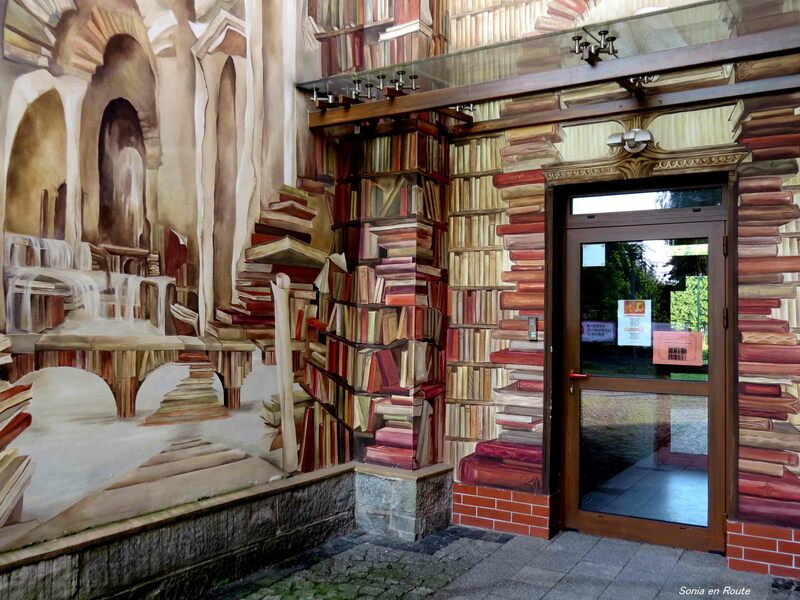 The mural is painted on an actual library building in Ustron, Poland where it draws a lot of justified attention from tourists. As you can see there is even a cave full of books to the left of the entrance. I like to stand in front of it each time I am there and imagine myself lost in that wonderful library. Not truly lost; but just enough so that I can forget about time and enjoy every book that I take from the shelf. My contribution to Cee’s Fun Foto Challenge – Houses or Barns. Koniecznie. Dla mnie to jest jedna z wiekszych atrakcji. Tam jest jeszcze jeden taki “mural” – tym razem na rynku – scenka z ubieglego stulecia gdzie panie i panowie stoja przy starym samochodzie. Mozna tam z nimi stanac i sfotografowac sie “jak za dawnych czasow”. an absolutely astounding work of art! I agree wholeheartedly. How can someone have that wonderful sense of perspective? To see all this in his mind before painting it on a huge building? Amazing. WOW! 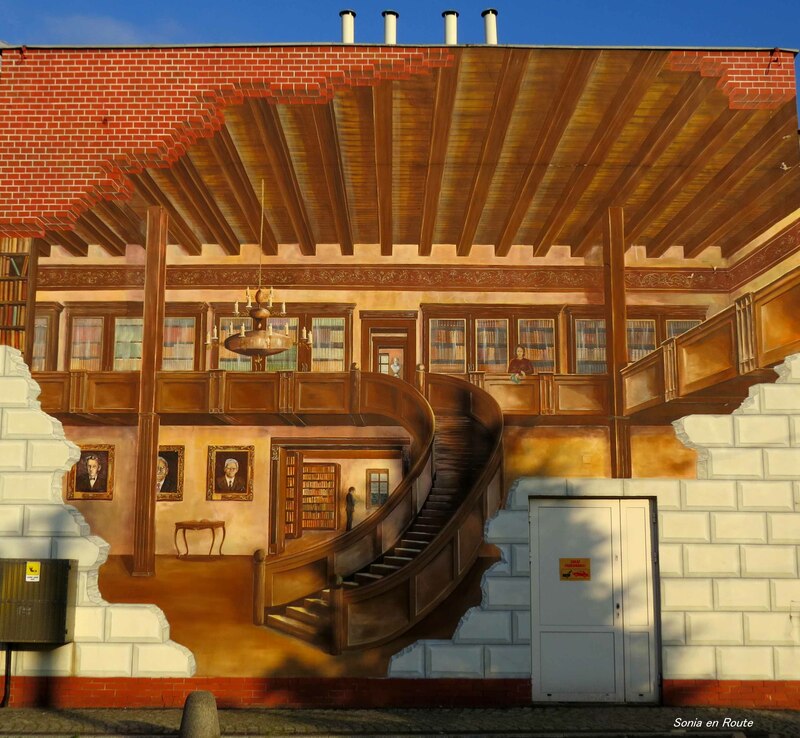 This must be fantastic to see in real life, what a piece of work and you managed to capture the murals so well. I can’t pick a favourite, they are all equally great. It is fantastic in real life. When I stand in front of that building I feel like moved in time to the lost library of Umberto Eco’s The Name of the Rose. Oh WOW. These are cool buildings and murals. Thanks. Oh wow! This looks truly spectacular and something I’d love to see with my own eyes (and I have never been to Poland! ).